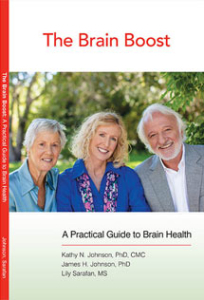 This first book of our wellness collection focuses on the factors contributing to healthy longevity. Since we’re living longer and longer, making those later years healthy ones is increasingly important. 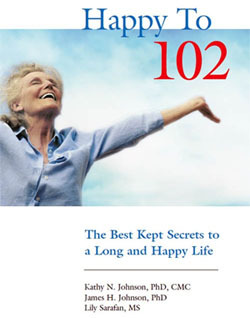 Happy to 102 explains the approach to diet, exercise, mental stimulation, social connectedness, and purpose which can mean a delay or avoidance of diseases like cancer, heart disease, bone loss, diabetes, and dementia. Looking for clear, practical advice on caring for an aging parent or loved one? The Handbook of Live-In Care, the second book in our collection, offers useful help. Whether you are new to care-giving or a veteran, this book has benefits for you. While caring for an older adult is challenging, helping a person stay in the comfort of their own surroundings and maintain maximum independence can mean empowering your loved one to a greater sense of control and purpose.Older adults who retain a sense of purpose and dignity have a more solid sense of well-being, a crucial aspect of living well, regardless of a chronic condition, frailty, or forgetfulness. 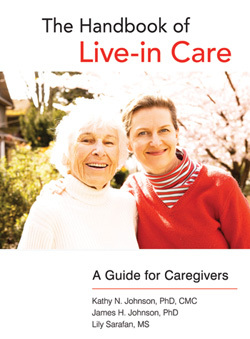 The Handbook of Live-In Care offers the first definitive guide to maximizing the quality of life for an older adult. 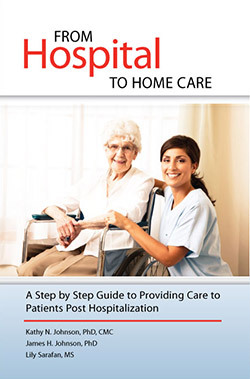 Our third book in our healthy longevity collection focuses on what to do when you, or a loved one, return to the comforts of home from a hospital stay. Often, families are unprepared for the increased care needs and the recent patient is unaware of the extent to which the hospital supported everyday functioning. Additionally, seniors may be very concerned about their ability to suddenly stay safely at home alone, in their weakened state, post surgery or illness. From Hospital to Home Care helps families navigate the discharge process and consider various care options post discharge. Since we experience the world through our senses, managing altered abilities will be fundamental to successful, satisfactory aging. The Five Senses gives an overview of potential changes and offers practical guidance for maintaining quality of life in the face of actual changes in perception. As always, our goal is to give seniors and families the information they need to help loved ones stay independent and live comfortably in their own homes as they age. Many people are caring for an older adult with dementia. This care giving can be rewarding and very challenging. The nature of a brain disease means each experience is unique. Mind Over Grey Matter offers enormously helpful and practical advice. 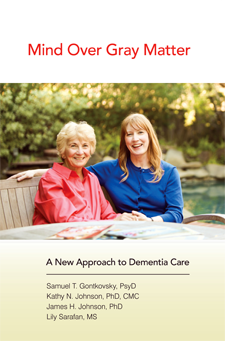 People with dementia deserve the best quality of life possible; this book can help caregivers provide care which not only does this, but may slow the dementia’s progression. Equipped with actual techniques, families are better able to provide the support and resources loved ones need to continue to live in their own familiar surroundings. So much of our bodies change as we age—our sleep patterns are no exception. Research tells us people of every age need to rest well to help rebuild immune systems after the damage of everyday living and allow busy minds a break. Sleep improves memory and performance and a prolonged lack of it not only impairs our ability to learn, it can actually cause our brains to shrink. 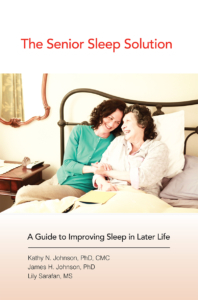 The thoroughly researched strategies presented in The Senior Sleep Solution include specific steps for seniors with dementia and various sleep disorders. Our aim is to help seniors win the battle for a good night’s slumber.